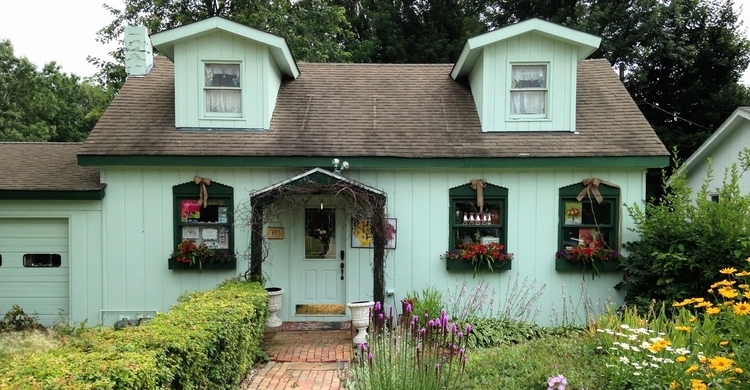 Nestled between Crystal Lake and Woodstock in a charming village of antique shops, Renee's of Ridgefield creates beautiful floral arrangements for all occasions. We have been serving Crystal Lake and surrounding towns by sending smiles and coloring events with flowers since 1998. We also offer a selection of everyday and seasonal gifts, as well as bright and colorful outdoor blooming planters in spring and summer. Our beautiful flower garden, complete with a walking path, wraps all around the building and is a sight to see in itself! Renee Blitek, owner and head floral artist, has been in the floral industry for over 16 years. She is a member of AIFD (American Institute of Floral Design) and the Illinois State Florists Association, and has served on the Illinois State Florist Association Board and the Teleflora Illiana Unit Board. Renee has also been teaching floral design classes at McHenry Country Community College since 2009.